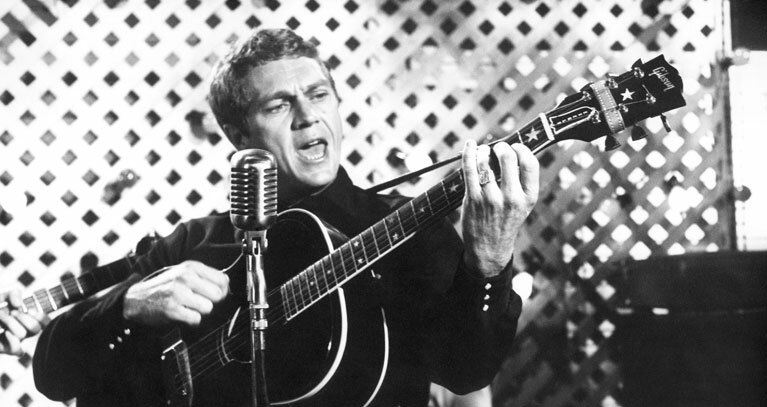 BABY,THE RAIN MUST FALL is a small-scale 1965 drama revolving around a guy who has just finished a stretch in the joint, trying to make a go of it with wife and child, playing guitar and singing in local Texas bars. 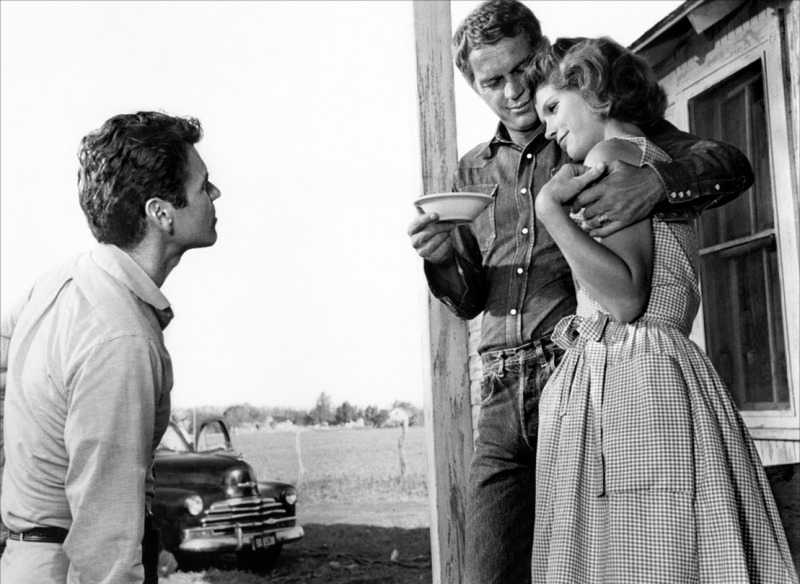 Terminally downbeat and soggy in presentation, despite some pros behind the credits: Robert Mulligan directed, Alan Pakula produced, Horton Foote wrote it. A claustrophobic story that doesn’t make any fresh hay with the characters and their problems; failing that it manages to kill off any potential the little project had. 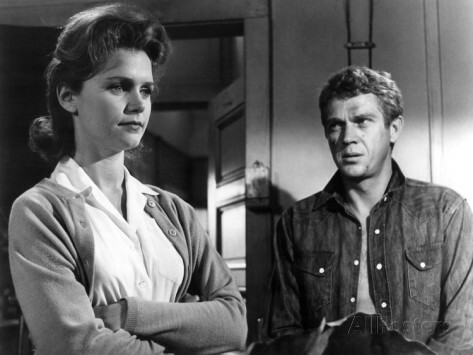 The three stars—Steve McQueen, Lee Remick and Don Murray— are adequate, though McQueen’s lip-synching and fake strumming are frankly lame, jarring from someone generally keen with props and attitude. Billy Strange covered the guitar licks for Steve, and Glen Campbell does some uncredited pickin’ as well. Elmer Bernstein’s understated music score and Ernest Laszlo’s fine b&w camerawork are commendable, but the 100 minutes are basically a bummer. 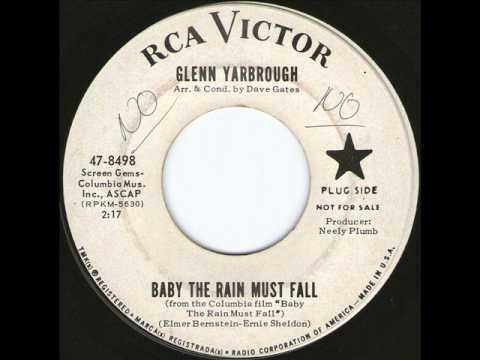 Glenn Yarbrough did manage a lifelong hit with the catchy title song. The song endured for decades: the movie, which failed critically and commercially (off key at spot #73 that year), is forgotten. With Paul Fix, Josephine Hutchinson, Kimberly Block, Georgia Simmons, Ruth White and Charles Watt.